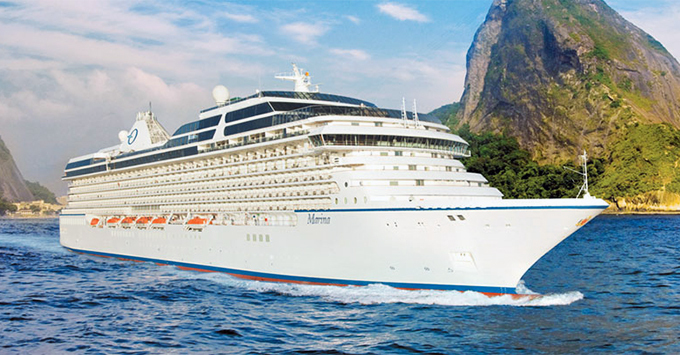 Cruise Critic is currently onboard Oceania’s 1,258-passenger Marina, cruising to Central American destinations like Belize, Honduras and Mexico. The ship is one of only two custom-built ships for the upper-premium cruise line (the other four are refurbished vessels from defunct Renaissance Cruises), and we love how the ship feels like its smaller R-class sisters, just with plenty of enhancements. Here’s a closer look at what Marina’s got right — and what needs a bit of tweaking. If Marina were a person, it would be an unabashed foodie. 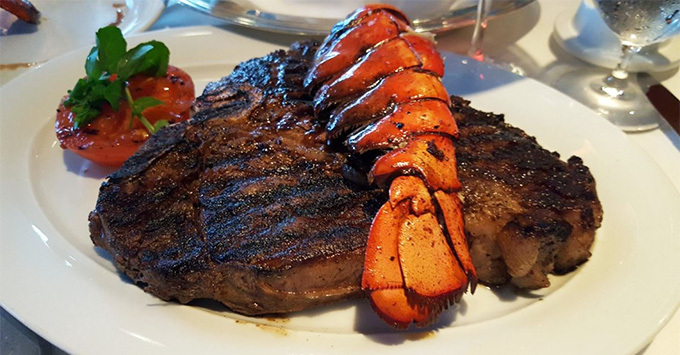 The ship’s four specialty restaurants — steakhouse Polo Grill, Italian Toscana, French Jacques and Asian-fusian Red Ginger — all feature an overabundance of menu options and no surcharge. The food has been pretty drool-worthy, too, from homemade pesto gnocchi at Toscana and pumpkin soup at Jacques to tender filet mignon at Polo Grill and miso-glazed sea bass at Red Ginger. Restaurant staff help you customize your dining experience to make it perfect, whether it’s offering an entire menu of olive oils to accompany your baked-that-day bread or letting you choose from a selection of chopsticks made from a range of materials. Only trouble is it’s tricky to get reservations if you didn’t prebook online ahead of the cruise. Oceania’s Prestige Tranquility beds and 1,000-thread-count linens practically guarantee that you will never have a sleepless night on Marina. Snuggle into those havens of comfort, and you can’t possibly keep your eyes open. They’re wonderful after a full day of touring and eating, but can be absolutely dangerous if you lie down for “just a minute” midafternoon. We’re no expert on fancy sheets, but a 12-piece queen set with sheets, duvet and pillows will set you back $1,500, so they must be top of the line. We plan to enjoy them as much as possible while we’re still onboard. Some lines pour you a cup of Lipton, hand you a sad petit four and call the event “afternoon tea,” but Marina knows how to do things right. Every afternoon at 4 p.m., white-gloved waiters wheel carts of finger sandwiches, cakes and pastries around the panoramic Horizon Lounge, while others proffer boxes of Twinings tea. 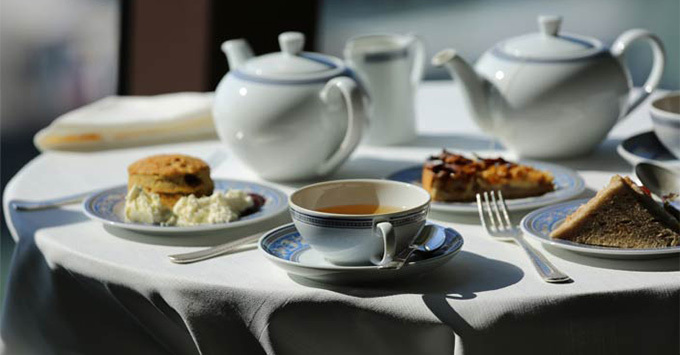 A classical string quartet plays as you head to a central buffet for proper British scones, jam and clotted cream. It’s all very civilized — and highly delicious. Calling all vegans, gluten-avoiders and health nuts! Oceania’s famed milkshake bar gets a healthy makeover every morning when it offers green juices and smoothies made with cashew milk, as well as “energy bowls” (such as an acai berry bowl or a chia cashew yogurt bowl). It’s a popular morning addition, especially for folks on their way to or from the fitness center or jogging track — and we can attest that the drinks taste quite good, too. On Marina, the thermal suite is not limited to those who cough up more cash at the Canyon Ranch Spa Club. Men’s and women’s sauna and steam room areas, as well as two coed spaces with tiled heated loungers, are available to all comers. They’re a lovely spot to rest weary limbs after a busy day of touring. The thermal area is lacking a thalassotherapy pool (found on Oceania’s other ships), but we didn’t miss it. Although neither free nor quite as fast as at home, Marina’s Internet has been quite satisfactory, and not as ridiculously slow as other ships we’ve sailed. We’ve checked email, had real-time text conversations and even watched videos on Facebook. We can’t decide if its upgraded technology or a lack of Millennials onboard that is leading to the efficient Wi-Fi service onboard. On first glance, Marina’s bathrooms are a wow. They’re beautifully marbled, with both a standalone shower and tub with showerhead. Then you actually try to take a shower and discover the flaw. 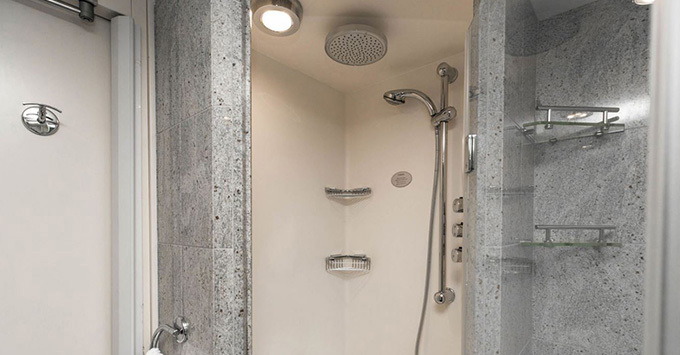 The standalone has a central rainshower head that makes the already low ceiling even lower and means anyone close to or over 6 feet tall has to duck to avoid konking their head in the shower. And the angled shape of the stall means anyone not rail thin is banging elbows or incapable of leaning down to wash their legs. The bathtub is a tad better, but you risk dousing the entire bathroom with water when you use the showerhead, and you have a large step over into the tub. We recommend the spa if you want to shower with a bit more space. So far, we have not been impressed with the desserts on Marina. The cookies do not entice, dessert “burgers” and “lasagna” at specialty restaurants were more creative than mouth-watering, and main dining room options have been surprisingly easy to skip. The best sweets we’ve eaten have been at afternoon tea — and the ice cream. In a way, dessert misses are a good thing, though, because we’re eating so much at dinner, we really don’t need the extra calories.